LEE PLANTATION- Gated 55+ active community with beautiful pool, spa, fitness room, saunas and showers in pool bathroom, billiard room, tennis courts. 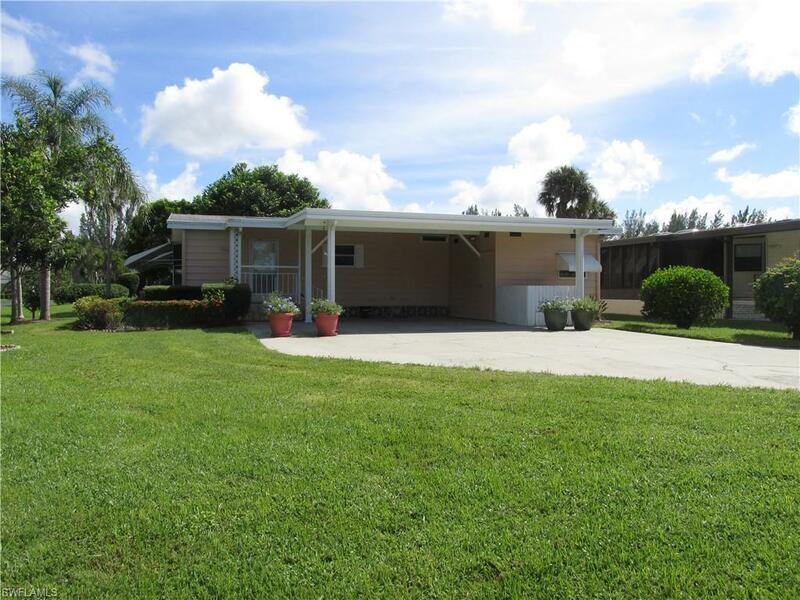 This is a cozy Florida home on large corner lot with double driveway and carport. It is close to club house. The newer kitchen has an eating island, the east facing lanai has vinyl windows and air. 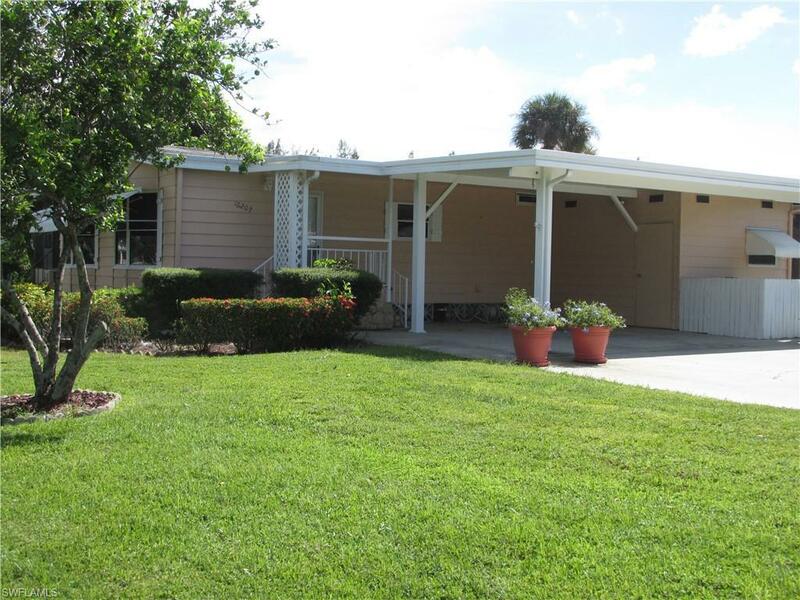 There are large closets and a utility room/shed. The solar tubes in the kitchen and living room brighten the inside of the home. 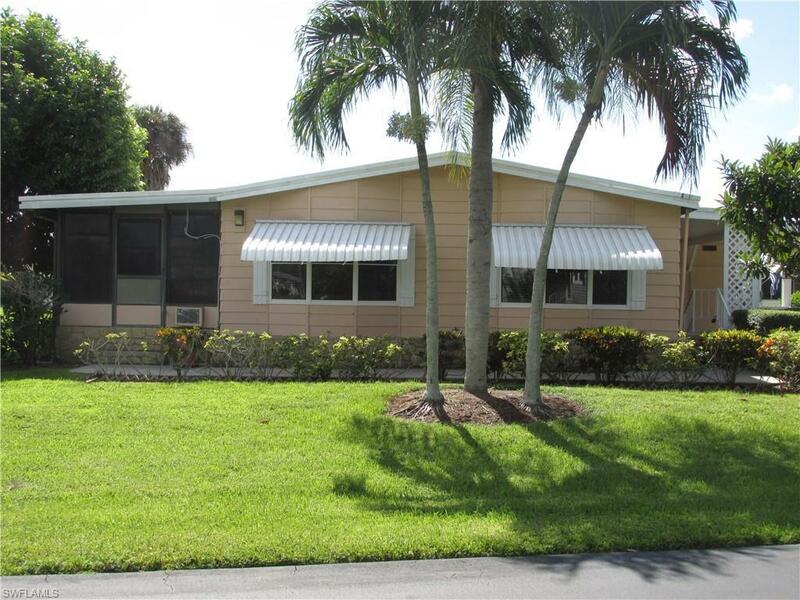 The large corner lot offers a park like setting from your lanai windows. Home is completely furnished turnkey. Bring your clothing and toothbrush! The home will have a new roof installed after the first of the year, and the cost of the new roof will be included in the selling price! What a buy! Buyers in Lee Plantation pay a one-time $75 background check fee. Listing courtesy of Carol Barton of Coastal Brokerage Llc.